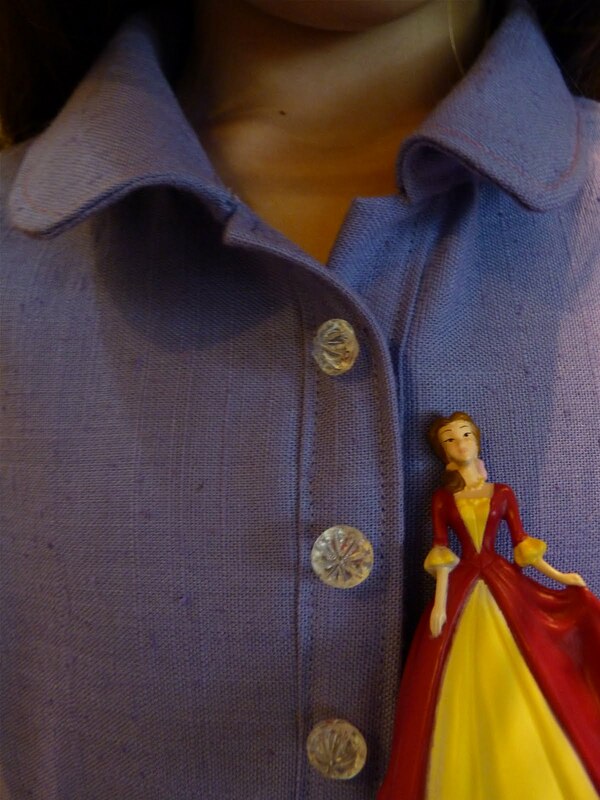 SEW-A-HOLIC: Way way way too late. Way way way too late. So I finished the dress with 1/2 a day to spare, but I had to pick, post about it or finish up the marathon training. Guess what lost. So here I am now with one cutie pie dress! 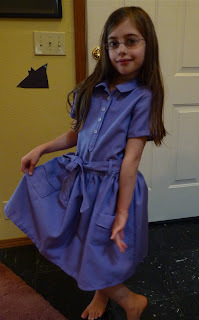 The purple fabric was at the bottom of a forgotten box and buttons from Amanda's stash = $0. On another note , we decided we can't get 2 patterns done in a month so we will cut it down to just 1.